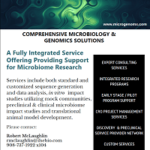 We provide a full complement of genomics and proprietary bioinformatics tools that serves as the capstone of our technologies to support the efforts of clients in human and animal health as well as agricultural and environmental fields. This suite covers (a) microbial genome sequencing and annotation; (b) metagenomic analysis both by targeted and shotgun sequencing; (c) functional bioinformatics analysis at metabolic, pathway, community and expression levels; and (d) custom annotation and other bioinformatics services of genomic or metagenomic data using proprietary and public domain databases. 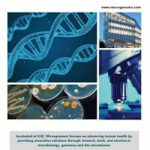 We collect, assemble and analyze microbial organisms from environmental, clinical, metagenomic other sources for in-house research, development or commercial-stage culture collections, with cloud-based database solutions for strain metadata, genome sequence, taxonomic, phenotypic and genotypic results, and curated information. 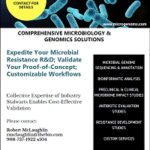 Full service or a la carte, with collaborative project planning and software customization, and specialized handling of actinobacteria and anaerobes. 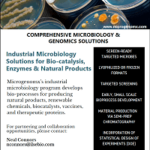 These services are supported by extensive expertise and practical experience in such diverse areas as clinical microbiology, microbial characterization and diversity and drug discovery.